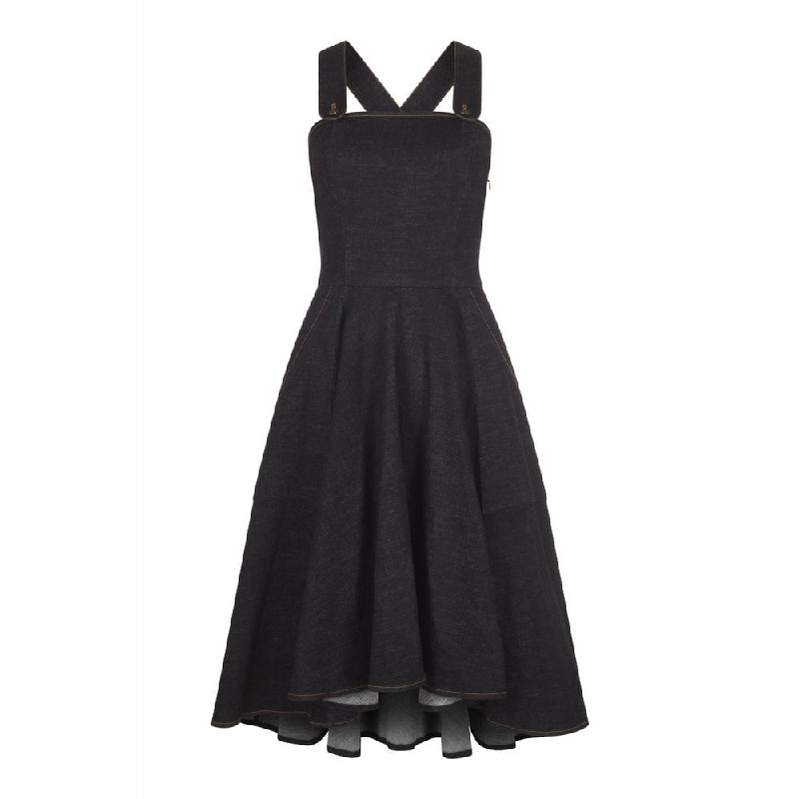 Our Odette Plain Dress is a 70s inspired pinafore from Bright & Beautiful. 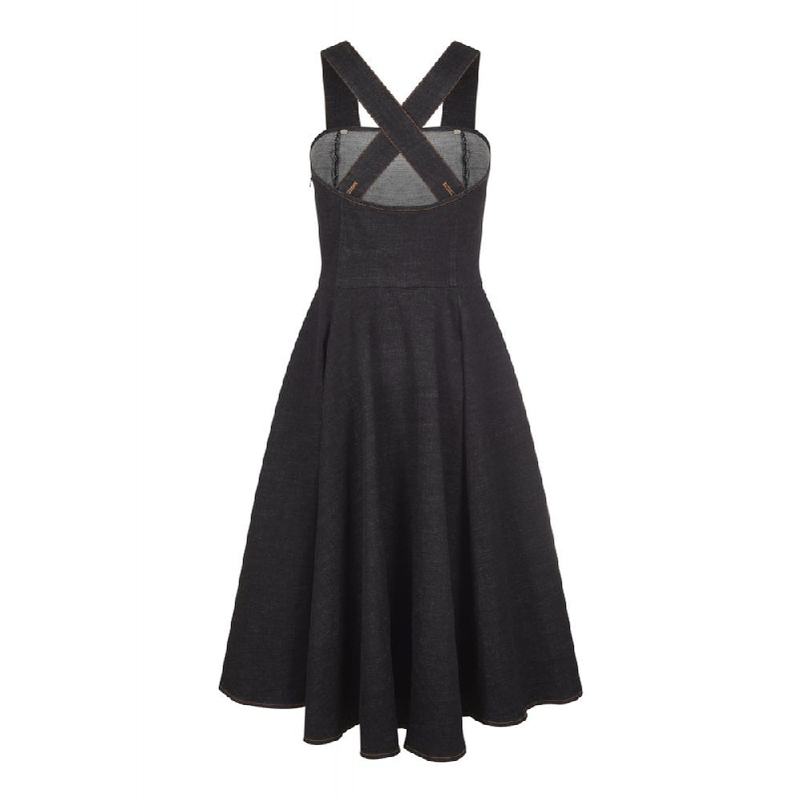 She has a classic straight across neckline at front and back, with traditional straps fastened with our custom metal buttons – so you can wear them straight across, crossed over, or remove them altogether. 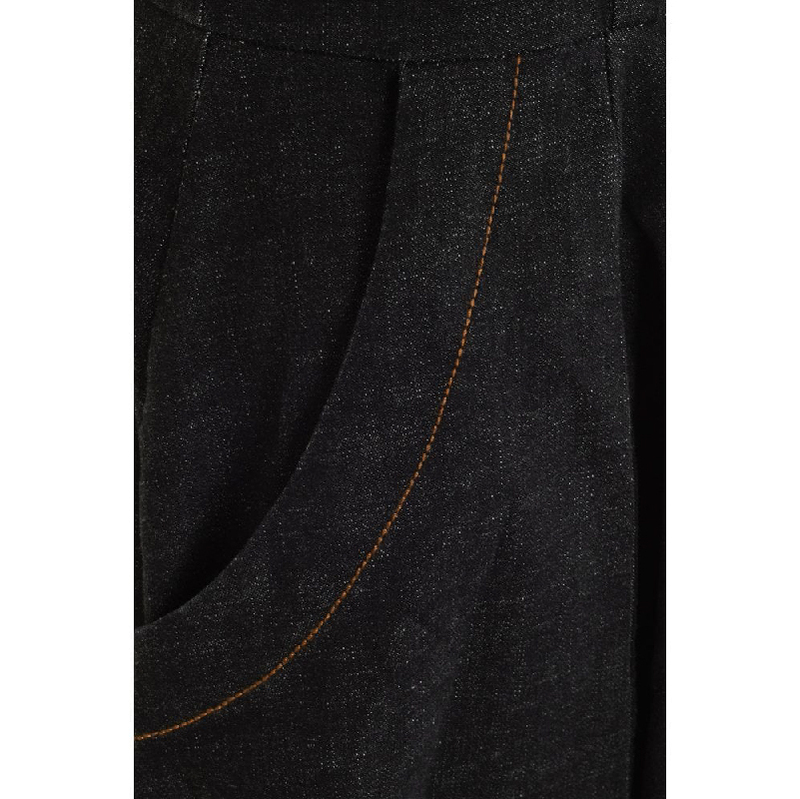 She is a dip hem style, with a shorter front and lower back, with deep front pockets. Odette is made from washed black denim, with traditional amber top stitching. Wear over turtleneck tops, collared blouses, and t-shirts for a simple pinafore look.